The Hotel Sea View is one of the finest hotels in Kutch. The hotel was established in the year2004 and since its inception it is offers with exceptional service and great hospitality to the guests. The hotel is situated in a stunning location. The hotel has a state of the art construction and has magnificent interiors and offers a stunning sea view. The hotel has a relaxing and welcoming ambiance. 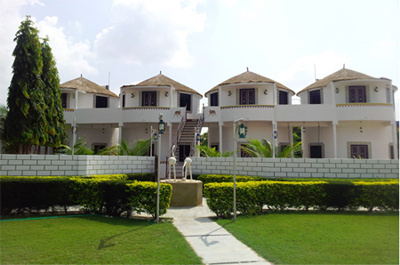 It is an ideal living destination for the travelers who look for tranquil, comforting, and luxurious getaway. The hotel offers brilliant service and has courteous staff. The hotel provides with imperative modern facilities and amenities to ensure a comfortable stay for its guest. The hotel is located a few miles away from the famous tourist destinations. The Hotel Sea View offers with the exceptional service and has chivalrous staff. The major facilities available at the hotel are mentioned below. Hotel Sea View provides with well appointed and well furnished and air conditioned accommodation for its guest. There are 4 types of rooms available at the hotel categorized into Family AC rooms, Deluxe AC rooms, Royal Mini Suites, Royal Suites. One can choose the room type as per their choice. The rooms have stylish interiors and are furnished with comfortable and tasteful furnishings. The rooms offer the most spectacular views of the stunning sea shore and relax in tranquility. The rooms are equipped with modern-day amenities to ensure a comforting and convenient stay for the guests. Air: The nearest airport to reach the Hotel Sea View is Bhuj Airport. Train: The nearest railway station to reach the Hotel Sea View is the Bhuj Railway Station. Road: If planned to travel by road, then the Hotel Sea View is located in Mandvi, which is around 56 KM towards south of Bhuj, Kutch. Kutch is a magnificent city which has numerous impressive historic and famous tourist attractions. Some of the tourist attractions travelers can visit during their stay are Mandavi Beach, Ship Yard, Shree Swami Narayan Temple 1 KM, Krantiveer Shyamji Krishna Verma 6 KM, Vijay Vilas Palace 7 KM, Ravdsha Mandir 10 KM, Asharmata Temple 15 KM, Ambe Dham 18 Km, 72 Jinalaya, Vijay Sagar Dam 25 KM, and many other famous tourist attractions in the nearby area.